The game changer’s name was Frank Keller, but everyone called him Butch. That is, before he got “the call”. You see, Frank was a meat cutter, working in his family’s butcher shop in Souderton, Pennsylvania for many years. Keller’s Meats was right next to Zion Mennonite Church, where I grew up, and Frank and his wife Holly were good friends of my parents. When Frank was approaching middle age, God called him into the ministry and the game changed. Frank went to Lancaster Theological Seminary in Pennsylvania, was ordained and eventually received a Doctor of Ministry degree from San Francisco Theological Seminary. Frank’s first pastorate was in his home church, where he served as assistant pastor at Zion Mennonite Church from 1969-72. Frank was the leader of our youth group during my high school years. He was the kindest, most compassionate and most supportive pastor I could ever imagine. In1970, however, an unforeseen tragedy caused our lives to become inextricably and forever linked. In January of 1970 Frank’s daughter Joan, who was about to graduate from Susquehanna College, gave her senior organ recital on our new and highly acclaimed tracker action pipe organ at Zion. Joan was a musical genius and even played a recital at the Cathedral of St. John the Divine in New York City. I remember how proud Frank was to show me a picture in his office of Joan playing that magnificent organ. My parents and I attended her recital at Zion. I was in tenth grade, loved music and had taken piano lessons intermittently during my childhood. Unfortunately, in elementary school my lessons were scheduled over the lunch hour, which meant I had to miss recess, my favorite part of the school day. To make matter worse, I could look out the window from the piano bench and watch my classmates having fun on the playground. Eventually, Mr. Bartholomew realized that motivation was lacking and we mutually parted ways. Now it was six years later and the game was about to be changed. I distinctly remember how moved I was by Joan’s organ performance. As her fingers and feet danced across the keys and pedals, playing a Bach prelude and fugue, I felt as if I were in heaven. It was a mystical experience that took me to a spiritual place I had never been before. The next month, on February 27, Joan was tragically killed in a car accident close to campus. My world was rocked. It was the first funeral I ever attended. I watched Frank and his wife Holly as we went through the receiving line after the service. Frank’s graciousness toward everyone who attended the funeral touched me deeply. I didn’t know it at the time, but Frank Keller became a game changer for me that night. A game changer can be defined as “a newly introduced element or factor that changes an existing situation or activity in a significant way.” It can also refer to someone who transforms a person or event by their actions, words or presence. That summer (1970) Frank led our nineteen-member high school youth group on a trip to Europe. Our former Director of Christian Education was living in Germany with his German-born wife and was our host. We were guests in the homes of church leaders, who had previously stayed in the homes of Zion members, including ours. Seeing the world beyond the United States for the first time was a game changer for me. It also did not escape my notice that Frank was still grieving, but he chose to not to cancel the trip out of love for us. In September I started taking organ lessons, and when Frank and Holly found out, they gifted me with all of her music. Another game changing moment. 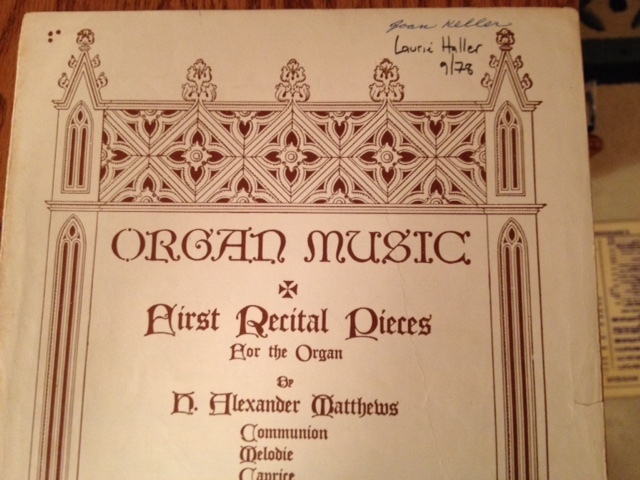 Frank’s continual encouragement provided the impetus to devote the next ten years of my life to the organ. Frank was so pleased with my career path, and we always kept in touch as I went off to college and he left to pastor a Mennonite church in Kansas. 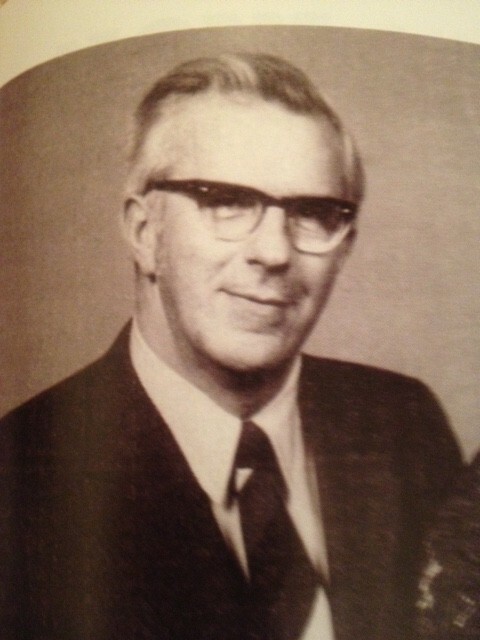 Eventually, Frank became the Western District Conference Pastor in Kansas, the equivalent of a district superintendent. Meanwhile, I felt more nudgings from God and talked with Frank about becoming a pastor rather than a church musician. Living at Yale Divinity School while continuing to study the organ, I saw other women preparing to be pastors. Of course, that was impossible for me because women were not allowed to be pastors in the Mennonite Church. “The time is coming,” the game changer said to me. “Stay the course.” In 1982, when I requested ordination in my home church through the General Conference Mennonite Church, I became one of the first women in the country to be ordained as a Mennonite pastor. My home church was willing, but the Eastern District Conference was not. When all the pastors in the district decided to boycott the ordination service and the Eastern District Conference Pastor refused to ordain me, the game changer intervened. Driving in from Kansas, Frank claimed his authority as a Conference Pastor to ordain me in his and my home church. The former butcher empowered me to claim my true call. Frank even said, “Why don’t you and Gary come to Kansas! I’ll find you a church, and I can work with the United Methodist district superintendent on a church for Gary.” By that time, however, Gary and I had chosen to return to Michigan where we both received appointments in United Methodist churches, and I eventually transferred my ordination credentials. Frank was still very supportive of both Gary and me, and we kept in touch through the years. Frank was never disappointed that I gave up the organ as a profession, for he understood that my years as an organist were an essential part of the movement of God in my life. Yes, Joan’s death was a catalyst for my own transformation and eventual call to ministry at a time when women ministers were unheard of. But without the mentoring of a game changer who embodied hope and encouraged and empowered me, I would be in a different place today. A few weeks ago the Pew Research Center released its 2014 religious landscape survey, showing that the share of our U.S. adult population that is mainline Protestant had dropped from 18.1 to 14.7 percent in the previous seven years. It’s a significant decline. The survey counted United Methodists among the mainline Protestants. Dr. Donald House, a lifelong United Methodist and economist who chairs our denomination’s Economic Advisory Committee, analyzed the Pew report and warned that The United Methodist Church has only fifteen years to reverse its decline in the United States if it is to have a sustainable future. In other words, if there is not a turn-around soon, we won’t have enough U.S. churches in future decades to support our connectional structures, which include conferences, bishops, agencies, missions and international disaster response. It’s time for the game changers to step forward. Are you a game changer? Whose lives are you impacting by encouraging, empowering and embodying hope? How are you living the one life you have, the one chance you have to make a difference in the lives of others? How are you transforming your small corner of the world? Whom do you have an opportunity to touch today by your kindness, courage and vision? What legacy will you leave when you die? Is your church a game changer? Are you placidly treading water, or are you boldly committed to radical and innovative ministries that will transform your community and the world? Are you called to be a proactive catalyst for changing the game in your local congregation, or would you rather play it safe? We have little time to wait. Thank God for all the game changers in our world, but especially for the life, death and resurrection of my beloved pastor and friend, Frank Keller. Maybe your best blog writing to date. I picked up your book at WMAC15 and really look forward to reading it. Continued blessings to you and Gary. Sorry for your loss with Rev Keller’s recent death. But that loss is our gain by the inspiring message it provoked in you to share the challenge before us. May it change our daily routines. Thanks so much, Laurie, for telling such a beautiful and moving story. What a gift you have of looking back and seeing the moments and the people that have determined your own path. It’s a great challenge to us all to know that we have the ability to create those path-defining moments for others. Thanks for continuing to teach and lead and challenge us. All I could think of when reading this is – WOW!!! Such an in-depth blog on so many levels. So sorry for your loss of such a wonderful man. You and Gary have been challenging us since you came to us. I hope we can rise to the challenge. Thank you!! This is a very moving account of the way Frank Keller and his daughter, your friend Joan, changed your life. Thank you for sharing this personal story of faith, hope, and love. I think the metaphor of “Game Changer” is a powerful one and I’d like to use it here at SFTS as we seek to become a new kind of seminary for the 21st century. Your story is a wonderful reminder of how God works through our earthen vessels to reveal his treasure to us and the world. Thank you so much. Thanks so much for your response, Jim. Please feel free to use anything you wish. Blessings in your ministry.